At Zoom Optics, we make it our mission to not just meet, but exceed each customer’s expectations of world-class service and quality products. Our exceptionally qualified staff members will guide and advise you so that you are provided with the best eye care solutions for your needs. Our friendly team is community focused and committed to providing you with personalised customer service with honesty and integrity. Zoom Optics optometrists are highly qualified. Our optometrists are therapeutically endorsed, which means they can prescribe medicines for the eye to treat many eye conditions. Our optometrists are proud members of the Optometry Australia which ensures the highest level of professional standards are maintained. We are also members of the Orthokeratology Society of Oceania which means we are at the forefront of the latest orthokeratology technologies and best practices. Zoom Optics have tertiary-qualified optical dispensers at each location to help achieve the highest standard of professional advice on your optical needs. They have undergone rigorous training to deliver technical lens and frame selection advice to best suit your individual prescription. Our optical dispensers are trained in using our onsite lens labs to deliver our famous express same day glasses service. No job is too big or too small. At Zoom Optics our frame fashion consultants will help make choosing your designer eyewear enjoyable with compliments guaranteed. Zoom Optics combines the precision of optometry using state of the art vision testing facilities with sophisticated style in our extensive range of high quality products including frames, lenses, sunglasses and contact lenses.The founders of Zoom Optics, Alex Tran and Ai-Leen Chua, began their first practice on the Northern Beaches suburb of Balgowlah. 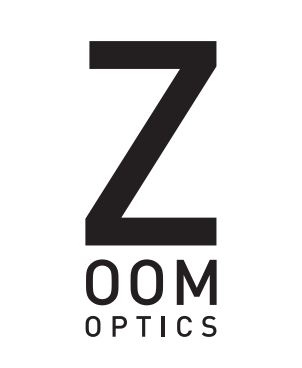 In 1997, they established Zoom Optics at Broadway, followed in 2004 by Zoom Optics, Rhodes and Zoom Optics Macquarie Centre in 2018. Long term employees, John and Christine grow the tradition of being a family run optometry practice and continue the high level of service and care which Zoom Optics is well known for.